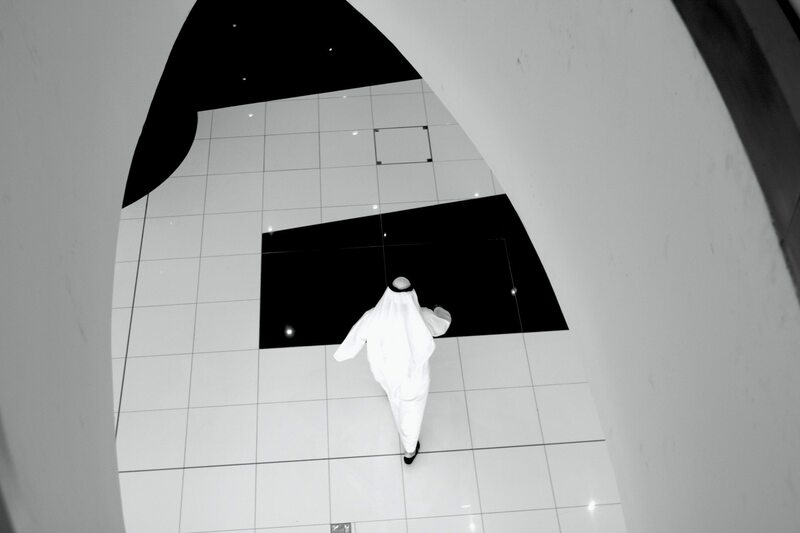 Portrait of a country - Abu Dhabi, Vereinigte Arabische Emirate - THE LINK – Stadt. Land. Architektur. Abu Dhabi. Vereinigte Arabische Emirate. Abu Dhabi is rapidly becoming the hub of the Arab book trade and the point of reference for booksellers, publishers and distributors in the Arabian Gulf. Almost 1,300 exhibitors from over 60 countries participated in the 26th Abu Dhabi International Book Fair (ADIBF), including artists and 600 authors. 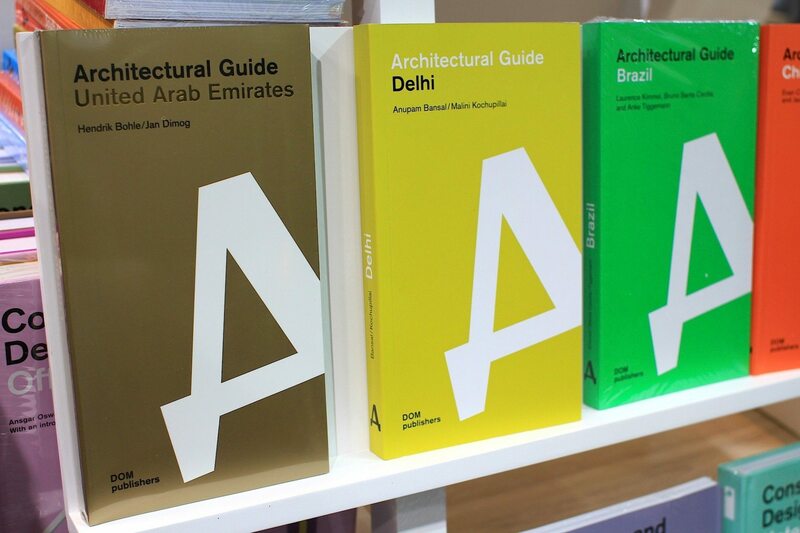 We joined the fair and presented our new book: "Architectural Guide United Arab Emirates". More information on our book (in German): here. The 26th edition of the Abu Dhabi International Book Fair featured a wide array of books in all languages of the world and a diverse cultural, intellectual and artistic programme. It’s one of the oldest book fairs in the region with its mix of books, international and Emirati authors, experts and excited publishers and booksellers. 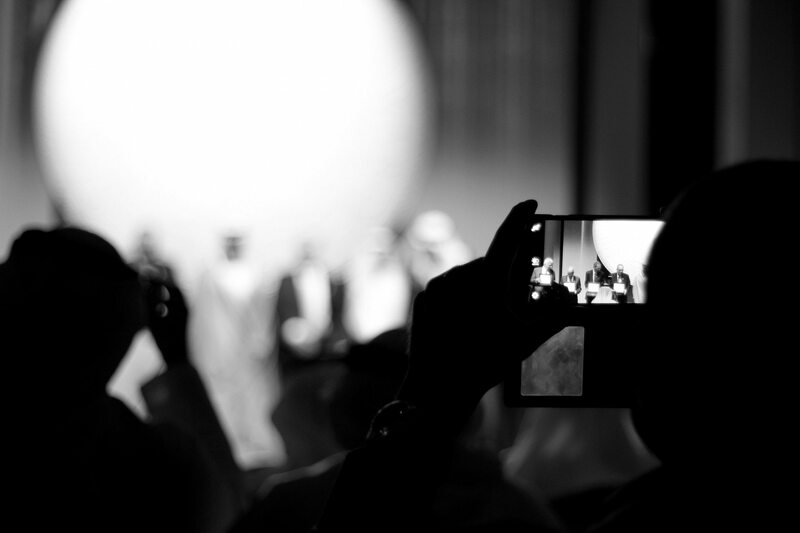 Run by the Abu Dhabi Tourism & Culture Authority (TCAA), this year’s event focused on Italy as the country of honour with famous Italian authors and publishers. The book fair had invited us to present our new book: the "Architectural Guide United Arab Emirates", which will be available in bookshops and online worldwide in August 2016. 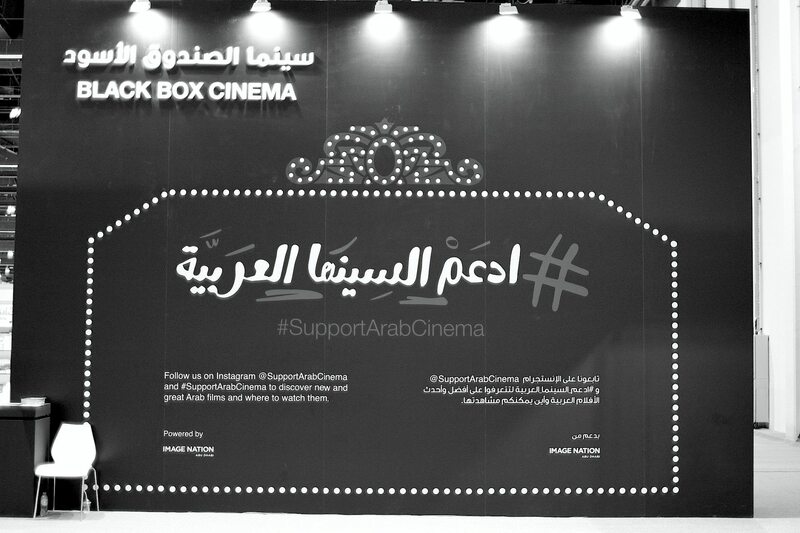 The ADIBF has several platforms and sections: Black Box Cinema, Creativity Corner, Culture Programme, Illustrator Corner, Professional Programme, Show Kitchen and Signatures Programme. We, Hendrik Bohle and Jan Dimog, were part of the Culture Programme, where we had 45 minutes for our book presentation. But before that, there was a lot of excitement on the opening day of the fair, especially at the German pavilion. We were able to hand over copies of our book to the German ambassador to the UAE, Dr. Eckhard Lübkemeier and HH Sheikh Nahyan bin Mubarak Al Nahyan, the Minister of Culture, Youth and Community Development. Perfect timing – considering the fact, that we had received the preview copies of our book only a couple of minutes ago from our publisher Philipp Meuser of DOM publishers. We started our research on the Architectural Guide United Arab Emirates at the end of 2013, but have known the country from previous journeys, especially Dubai and Sharjah. The latter played an important role for the practise magma architecture and for Hendrik Bohle as their project architect. 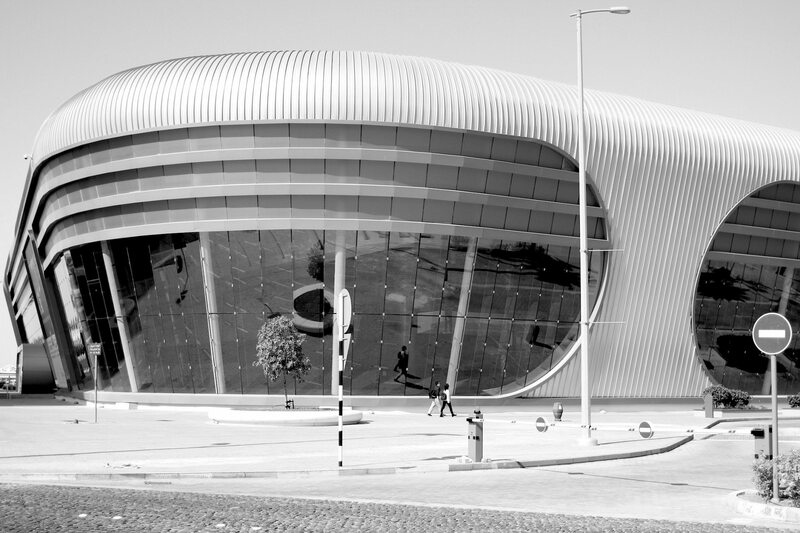 Magma architecture and Hendrik Bohle were responsible for the redesign of Masrah Al Qasba, a multi-purpose theatre, which was completed in 2011. After finishing our work on the Architectural Guide Istanbul, which was published in May 2014, we travelled a couple of times to the United Arab Emirates (UAE). We have talked to numerous architects, designers, artists, engineers, experts, but also to drivers, tour guides and workers as well as to marketing executives, tourism industry agents and property developer. 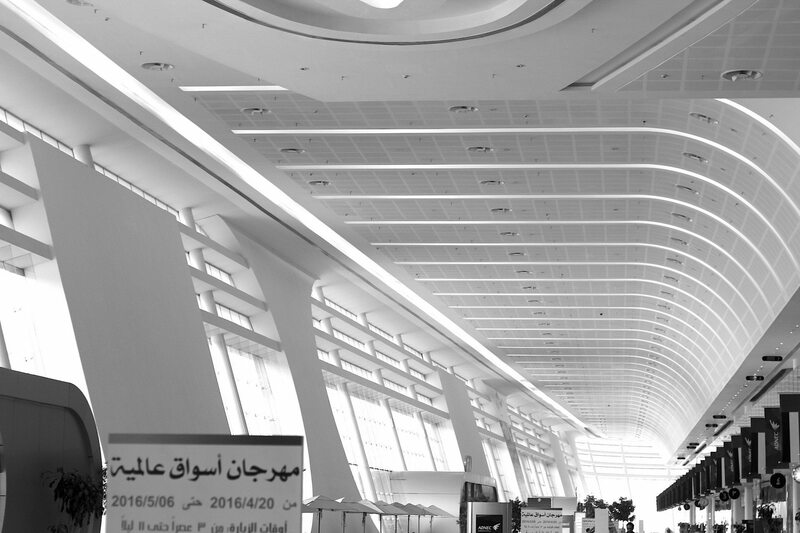 We toured all 7 Emirates, which is part of our concept: to include the architecture of the entire country. The result is a book, that features contemporary and vernacular architecture as well as the heritage, architectural tradition and culture of the United Arab Emirates. 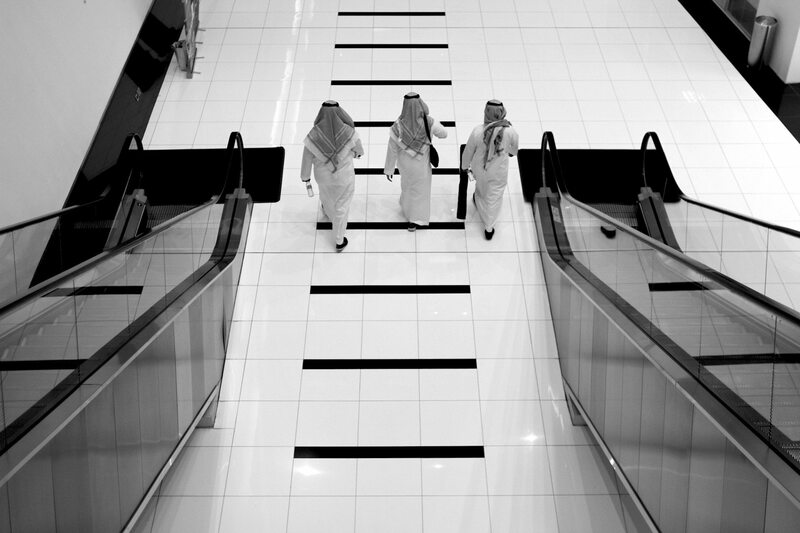 Our intention is to deliver an architectural portrait of a country, that includes its heritage, culture and people. Encounters and discussions with authors, artists and publishers from all around the world. 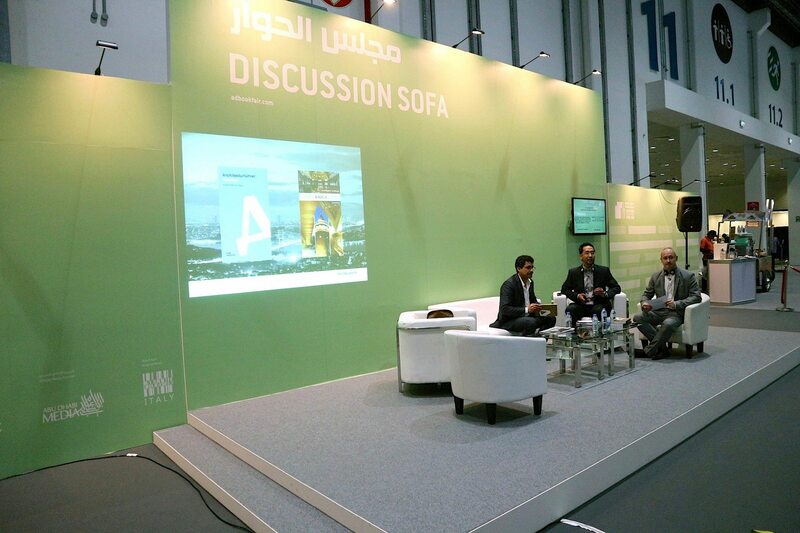 Mustafa Al-Slaiman hosted our presentation at the "Discussion Sofa" of the ADIBF. 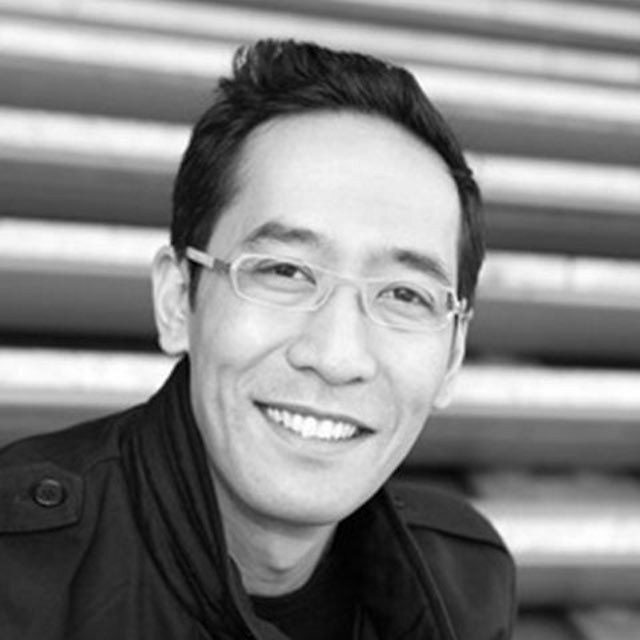 He has been working as a freelance literary translator and conference interpreter in Arabic and German since 1992. Since 2009, he has been co-operating with Kalima Abu Dhabi, where he is in charge of coordinating the German-Arabic part of Kalima’s literary translation programme. Our presentation along with the visit of the German ambassador and the Minister of Culture at the German pavilion were highlights as well as our stay at the ADIBF with the meetings, encounters and discussions with authors, artists and publishers from all around the world. Von Jan Dimog Publizist und Gründer, veröffentlicht am 8. Mai 2016 . 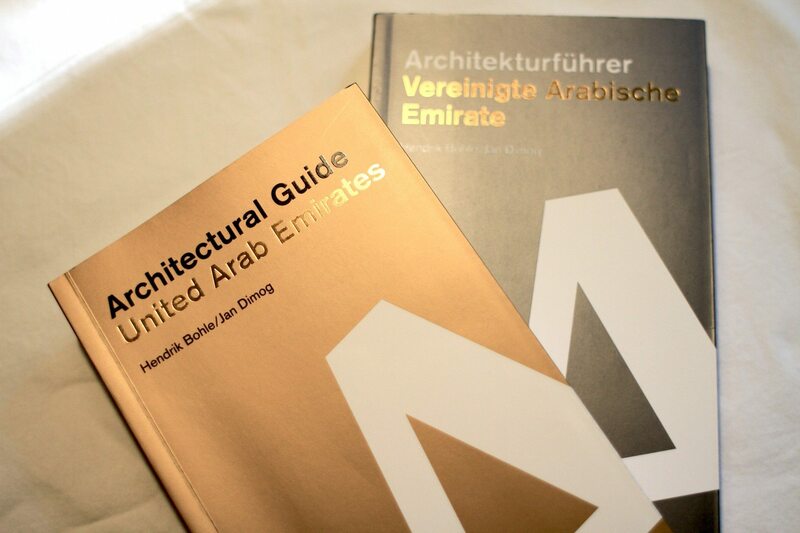 Architectural Guide United Arab Emirates By Jan Dimog and Hendrik Bohle, DOM publishers. 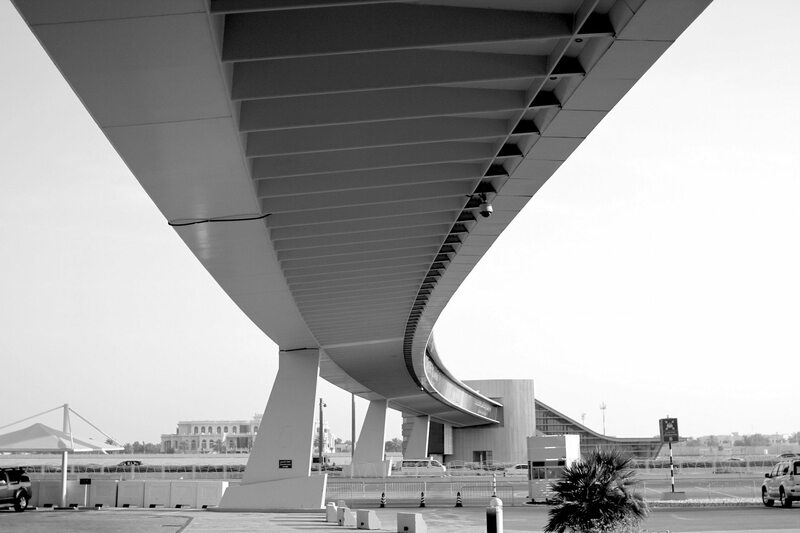 The first book with the architecture of all 7 Emirates. 135 x 245 mm, 540 pages, softcover, 1090 photographs, drawings, plans. With guest contributions by Peter Jackson, advisor to the government of Sharjah and director of the RIBA board and Dr. Anne Coles, social geographer. EUR 48,00, ISBN: 978-3-86922-376-6 (German), 978-3-86922-508-1 (Englisch). Available online and in bookshops in August 2016. 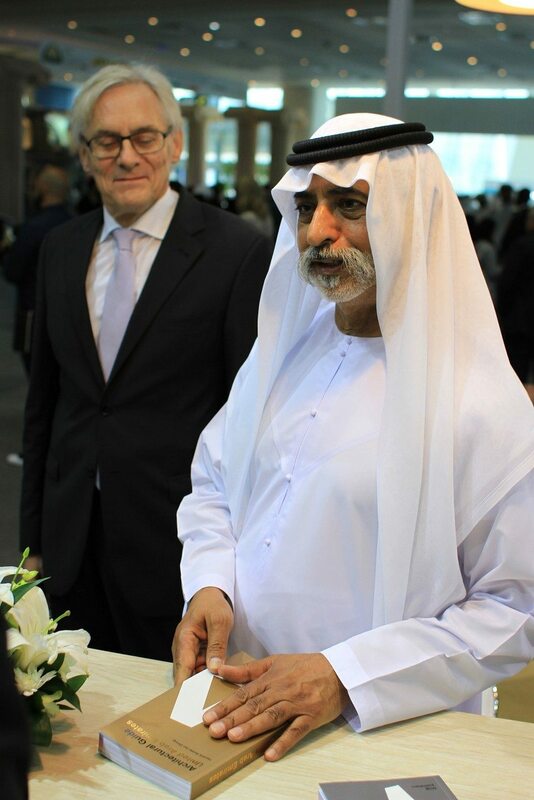 Abu Dhabi International Book Fair Abu Dhabi has emerged as the key driving force for the professional and commercial development of the regional publishing industry, and is committed to the long-term expansion of the global book business. 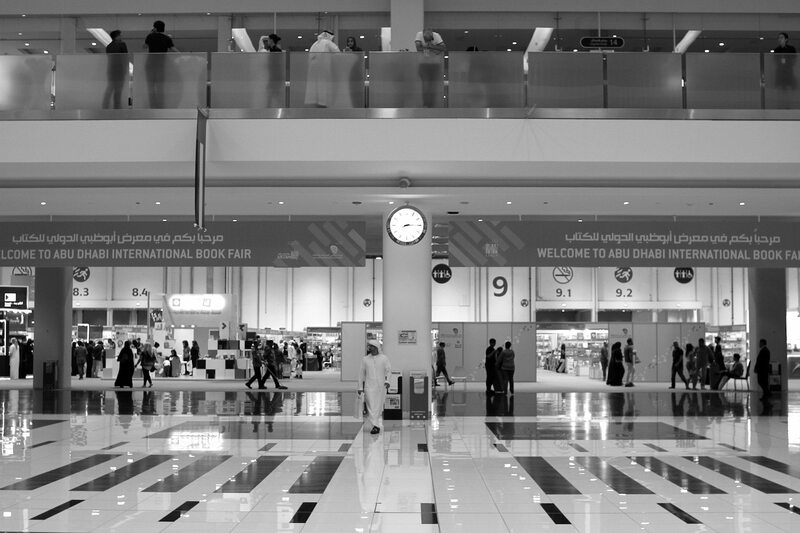 ADIBF is one of the most ambitious and fast-growing book fairs, with more than 500,000 titles on display each year. 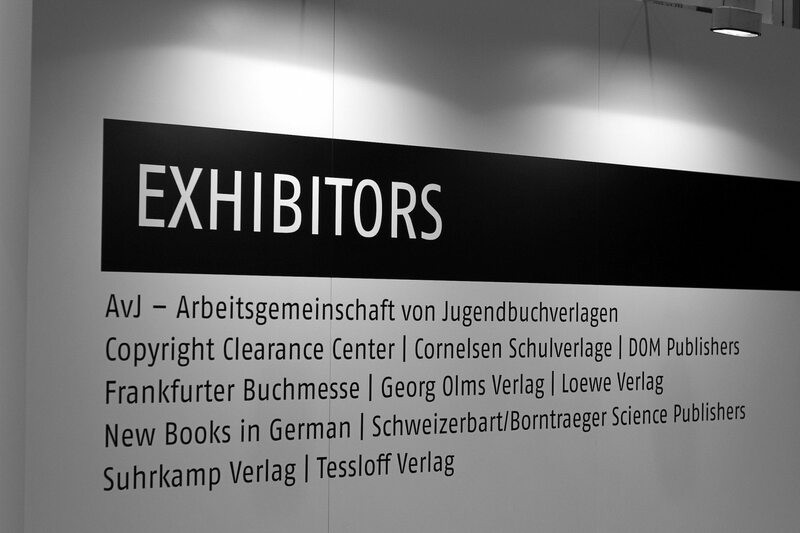 The fair draws a huge number of publishers, book sellers and readers from across the world and to a commercial marketplace for the world’s leading publishing houses. 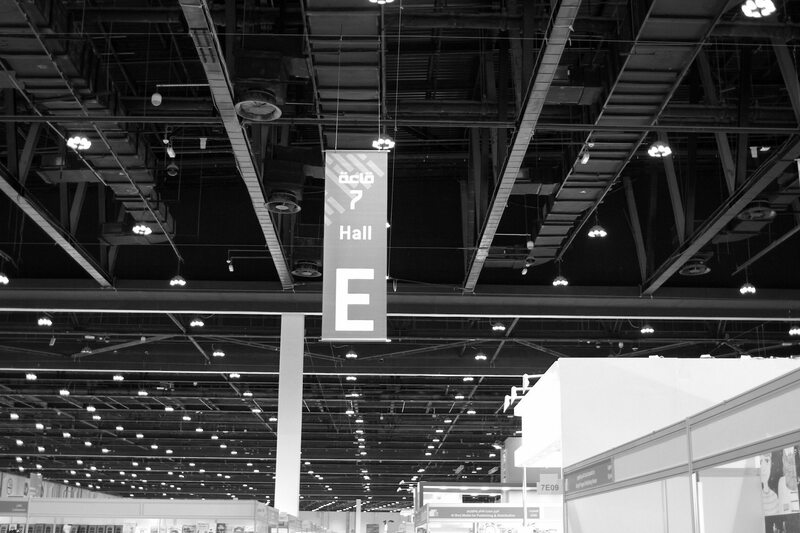 ADIBF aims to re-establish people’s interest in the world of books, while reiterating the importance of books as tools of knowledge and progression. The fair is also an opportunity for book lovers to browse through a wide selection of books in many languages and from a variety of fields. 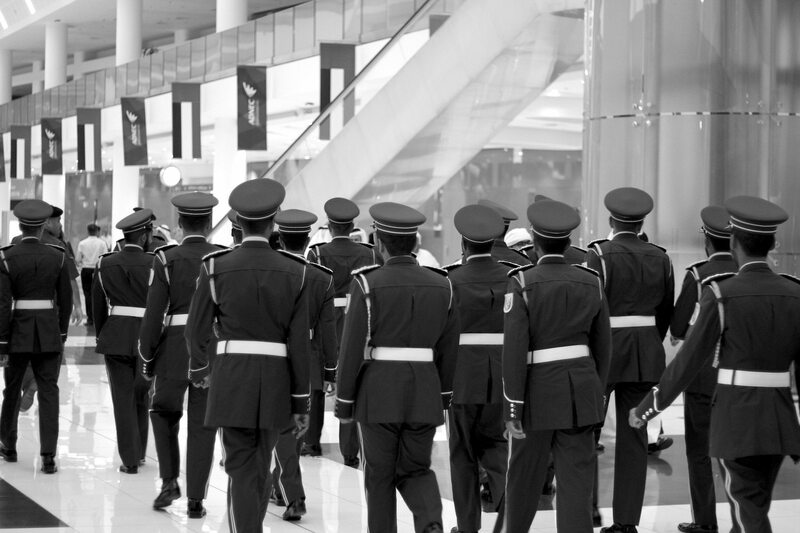 ADIBF is under the patronage of His Highness Sheikh Mohamed bin Zayed Al Nahyan, Crown Prince of Abu Dhabi and Deputy Supreme Commander of the UAE Armed Forces and took place from 27 April to 3 May 2016 at the Abu Dhabi National Exhibition Centre (ADNEC).